What the Frack is Happening In Manitoba? Manitoba is poised to be a major Canadian player in providing large quantities of silica sand used in hydraulic fracking by the oil and gas industry. This presents major risks that should be fully explored before allowing shovels into the ground. 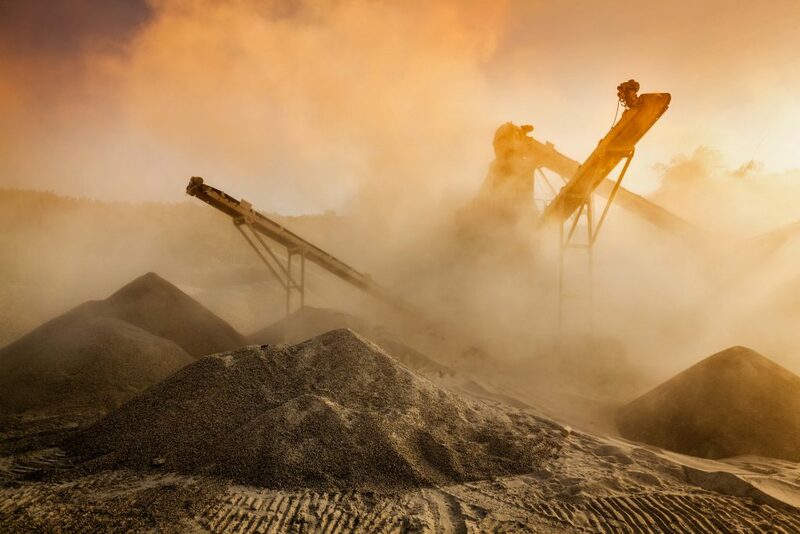 Canadian Premium Sand, a Canadian publicly traded company, is proposing to develop an open pit mine and processing facility to initially extract some 45 million tons of aggregate to produce roughly 26 million tons of frack sand over the life span of the mine. The company has stated it could expand its operation if demand warrants, as the company has the rights to 360 million tons of known frack sand reserves through its quarry lease holdings in the area. This proposed open pit mine and processing facility will be the largest of its kind in Canada and one of the largest in North America. It is slated to be fully operational sometime in 2019. The proposed open pit mine and processing facility will be located adjacent to Hollow Water First Nation on the Eastern shores of Lake Winnipeg, some 210 km north of Winnipeg, Manitoba. Frack sand is used in the controversial hydraulic fracturing process in the oil and gas industry. The demand for frack sand is expected to grow by 300 percent in the coming years. The biggest challenge for producers to meet this anticipated increase in demand is in transporting enough frack sand to end users in more quantity, cheaper and faster. The largest markets for frack sand in North America are in the Western Canadian Sedimentary Basin (Alberta and Northern B.C.) and the Bakken Region (Montana, North Dakota, Western Manitoba and South central Saskatchewan). If this mine becomes fully operational, it will have a significant market advantage over its nearest competitors in the USA centrally located in North America. It would have access to a major North American rail transportation hub, via Winnipeg, that can move large volumes of frack sand to key markets, thus substantially reducing transportation costs for both the company and end users of the product. In large scale extraction projects the economic returns, in this case to the communities of Seymourville, Manigotagan and Hollow Water First Nation, must be balanced against the adverse social, economic and environmental impacts, which would be substantial. Laying aside for the moment the negative effects at the landscape level, there are three known adverse impacts with similar frack sand mines and processing facilities in the USA. The first adverse impact is to human health, for both those working in and for those living near this type of development. Prolonged exposure to fine silica sand particulates can lead to silicosis and is a lung carcinogen. The immediate threat comes to those who work at the mine and processing facility. Frack sand also carries a potential risk to residents near these sites, along transport routes, and for the transport crews who move the cargo because the fine particles of silica will be wind borne. Intense exposure to fine crystalline silica particulate matter can cause health problems within a year, but it usually takes at least 10-15 years of exposure before symptoms occur. This is particularly troubling for those living in proximity to frack sand mines and especially so for the elderly or families with young children, as they are more susceptible to disease. Fine silica particulate exposure has also been linked with other lung ailments, including emphysema and bronchitis. It has also been linked with a variety of autoimmune diseases, such as scleroderma, lupus, rheumatoid arthritis, autoimmune hemolytic anemia, chronic thyroiditis, and hyperthyroidism, among others and to kidney-related diseases, such as chronic renal disease, and those with high exposure are more likely to die from renal disease. Then there are water quantity and quality impacts, as the total amount of water withdrawn and/or consumed by frack sand mining operations and processing facilities can vary, and much of the variation depends on whether the mine and processing facility uses an open or closed loop process system. In terms of water volume, site withdrawals can range from roughly 1.6 million litres per day to 7.6 million litres per day according to data obtained by the Wisconsin Dept of Natural Resources in January 2012. The concentration of the polyacrylamides used in the frack sand washing process is often unknown or may vary substantially. Polyacrylamide levels must be continuously monitored, because although polyacrylamide is itself nontoxic, unpolymerized acrylamide is a known neurotoxin and can occur in low concentrations within sand washing solutions. An emerging and potentially highly damaging water pollution problem is the issue of acid mine runoff that could contaminate groundwater and surface water. Acid mine runoff is normally associated with mineral mining. However, data on heavy metal content in sand wash ponds adjacent to frack sand mines obtained in the USA demonstrate the same issue arises in frack sand mining. The more acidic water allows heavy metals at toxic levels to leach into water supplies, such as arsenic, cadmium, aluminum, lead, manganese, copper. This water contamination problem also extends to reclamation processes. Finally, it is also important to discuss the scale and impacts of truck hauling traffic that accompanies frack sand mining operations. For example, the Minnesota Department of Transportation determined the average frack sand mining operation will move from 250 thousand to a million tons of sand per year. The Department assessed this as requiring the concentrated flow of 70-250 heavy truck trips per day. The frack sand mining operation proposed near Hollow Water First Nation will be hauling 1 to 2 million tons per year, which equates to (using the above figures to estimate) approximately 250 to 500 heavy truck trips per day every day for ten months of the year. The most direct route for this massive increase in heavy truck traffic would be Hwy. 304, a single lane road either way from Hollow Water First Nation to Hwy. 59, also a single lane road either way to South Beach Casino. This will most certainly lead to increases in traffic accident rates on Hwys 304 and 59. It is especially problematic for the tens of thousands who travel Hwy. 59 regularly to the East Beaches communities to enjoy summer cottages and for the additional thousands who come to enjoy the many beaches, such as Grand Beach, on a daily basis. Increased accident rates related to the increase in heavy truck traffic will also lead to an increase in costs to provide first responders, such as EMTs, firefighters, and police officers. Likewise, increased traffic flow in winter months may require additional plowing and road salting to accommodate truck traffic operating at off-peak hours while non-commercial traffic patterns tend to wind down. Finally, the replacement times and associated costs of road repair will be accelerated as the volume of truck traffic, hauling heavy loads of frack sand, will lead to much higher road wear than is currently the case. Before the company can build and operate its mine and processing facility, it must first receive a licence following a review process by the Province of Manitoba and possibly by the Federal government under the Canadian Environmental Assessment Act (CEAA). Under the Manitoba Environment Act, quarry activities, under which this mining development project is classified are not subject to review as quarry activities are not defined as a Class Development. The processing facility, to be located at the mine site location, is considered a Class 1 Development under the Manitoba Environment Act and the access road that will need be constructed may be a Class 2 Development for the purpose of Manitoba Environment Act. It is quite possible that the company may seek to licence the entire development in stages, by separating it into three projects: the access road, the mine and the processing facility, thus avoiding the need for the government of Manitoba to review the cumulative impacts of the entire project as whole and/or possibly avoiding the need to hold a public panel review process by the Clean Environment Commission. There is however, a possibility that this resource development project may be designated a project under the Canadian Environmental Assessment Act (CEAA) and the company will need to comply with the provisions of this Act, which may include the need for a possible joint federal/provincial review process. The company could take steps to try and avoid the review, for example by underestimating the volume of material extracted in order to avoid the automatic CEAA trigger threshold. Another issue that has yet to be addressed, with respect to this resource development project, is that of the legal obligation of the Crown to undertake Section 35 consultations with the affected Indigenous and Métis Peoples when their rights may be potentially impacted. This consultation must occur at the earliest possible stages of planning and is independent of any review, licencing or approvals process undertaken by either the provincial or federal government. To date this Duty to Consult has not occurred. Whether or not one supports this proposed resource development project for Manitoba is a moot point. What is important, and something that all Manitobans should agree on, is the need for a transparent public review process that considers the entire proposed frack sand mining, processing and transport development for both its benefits and adverse impacts prior to any government approval or licensing, and further, that the Crown undertake its fiduciary obligation to consult with Indigenous and Metis rights holders in the affected communities. Don Sullivan is published landscape photographer, the former Director of the Boreal Forest Network and one time Special Advisor to the Government of Manitoba working the Pimachiowin Aki UNESCO World Heritage site portfolio. Don is also a Queen Golden Jubilee medal recipient.